The garden revived during September. Relatively cooler temperatures and generous rain showers encouraged plants to extend their bloom periods. As the month wanes, the September garden looks exceptionally better than in many years. 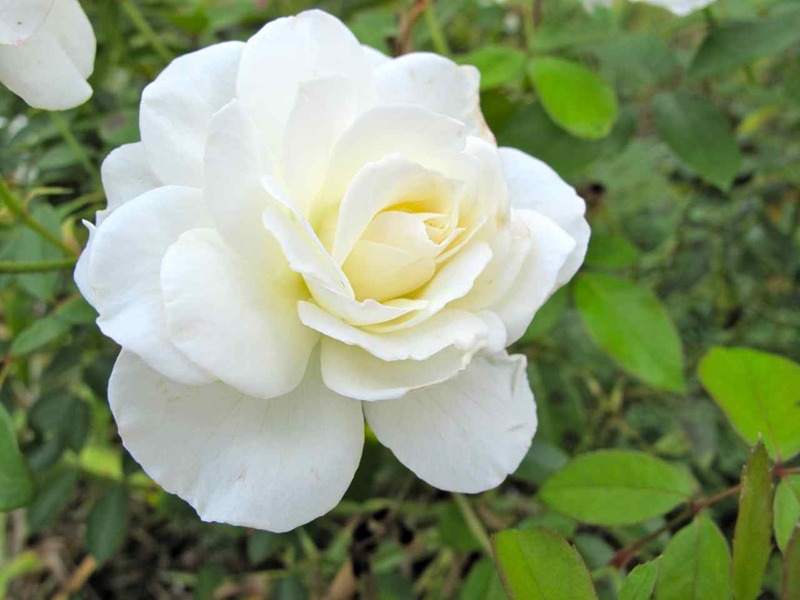 This endearingly fragrant Iceberg Rose is particularly lovely this week. 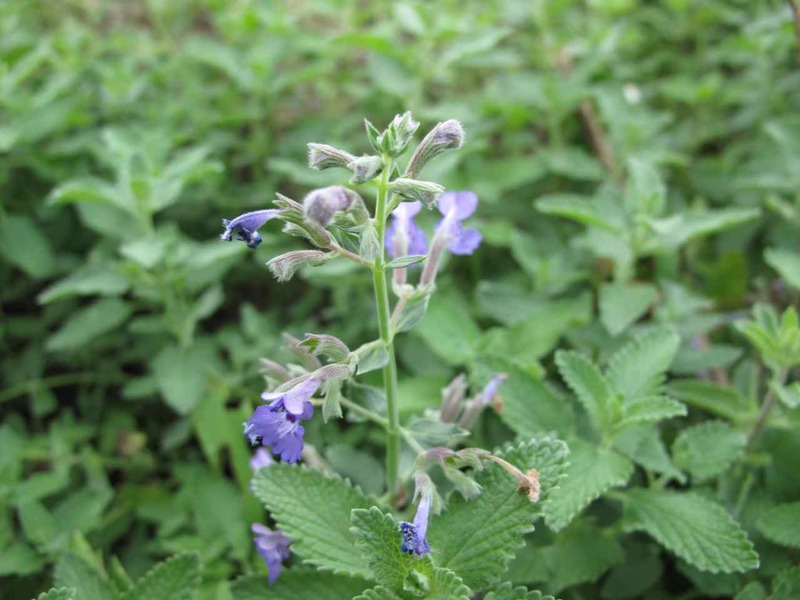 Planted beneath the rose is a broad mound of Nepeta or Catmint. 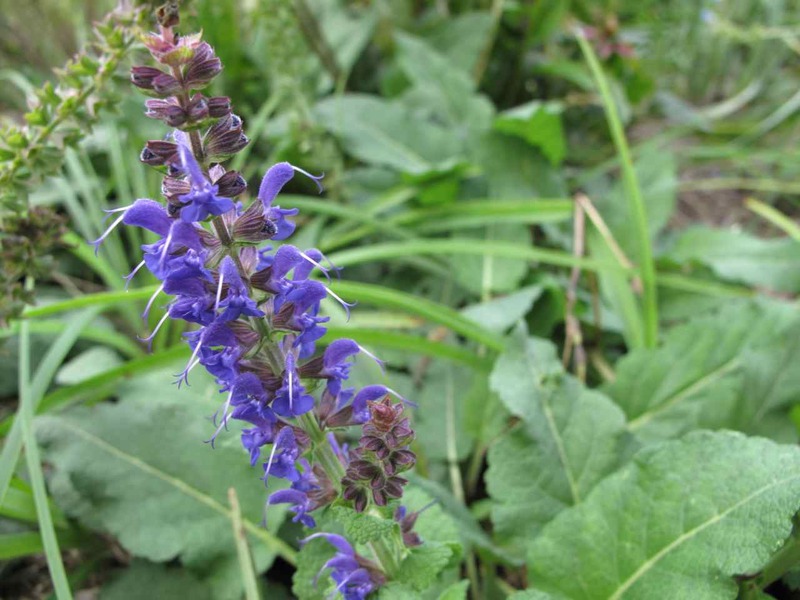 In front of the border and close to the Nepeta, Meadow Sage is staging a welcome comeback. 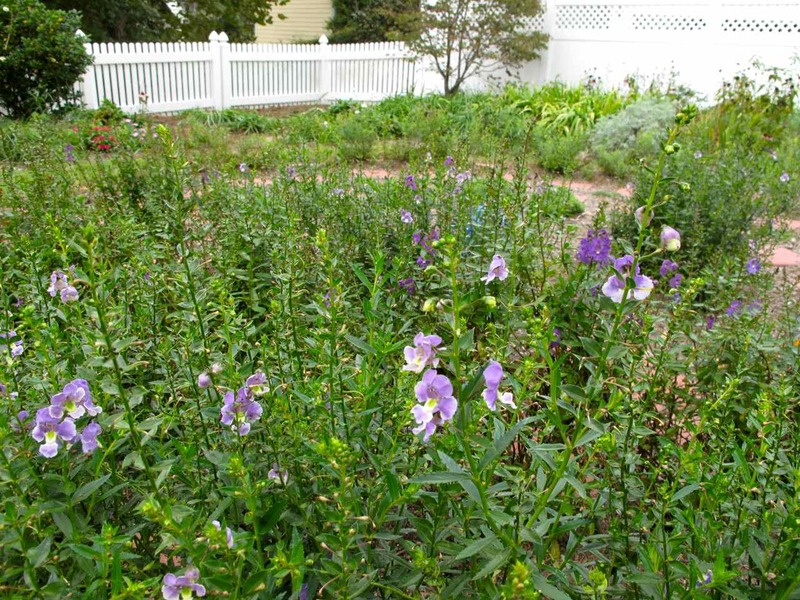 It is easy to see that blue flowers are favorites in this garden. Another deep blue, this in the form of Tradescantia (Spiderwort), is reblooming, while Autumn Joy Sedum contributes a soft pink hue. Setcreasea pallida or Purple Heart was crowded out all summer by Monarda (Bee Balm) and by encroaching nandina. 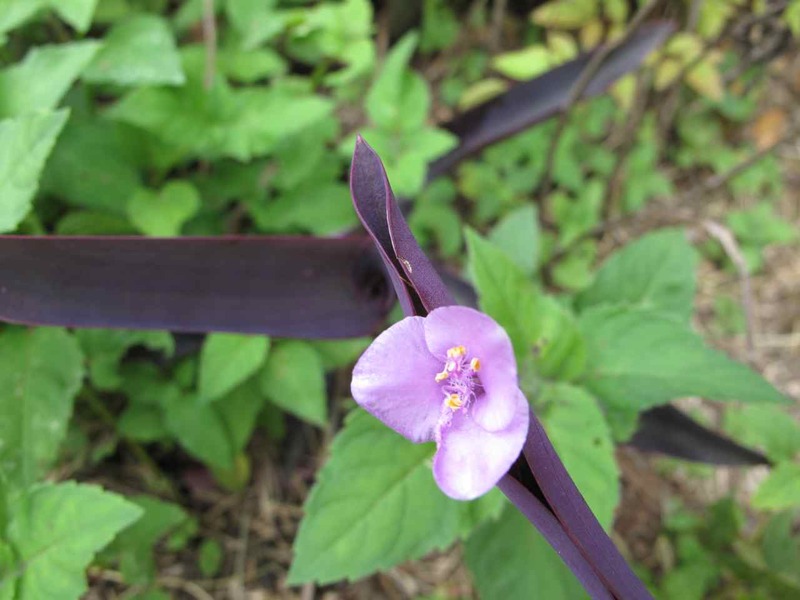 At last though the Purple Heart has succeeded in blooming. 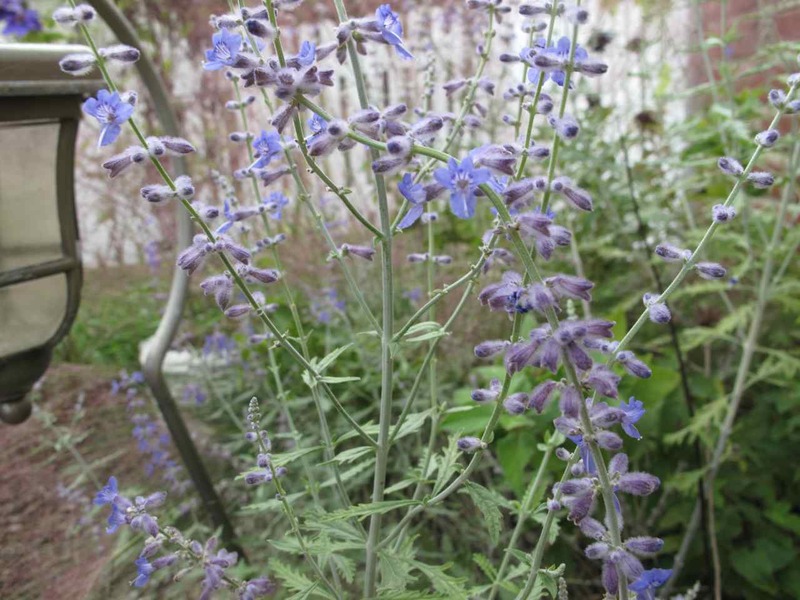 Perovskia atriplicifolia (Russian Sage) was introduced to the side garden from another section earlier in the spring. It seems to get enough sun now and generally has been thriving in its new location all summer. The combination of Perovskia atriplicifolia (Russian Sage) with its Pink Muhly Grass neighbor forms an interesting garden texture. 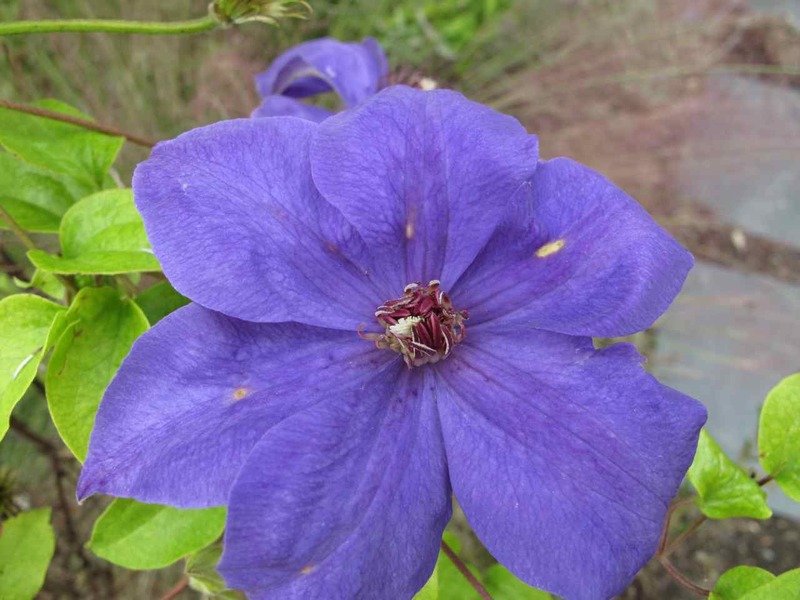 Nearby, the reblooming Jackmanii Clematis adds a touch of the exotic. 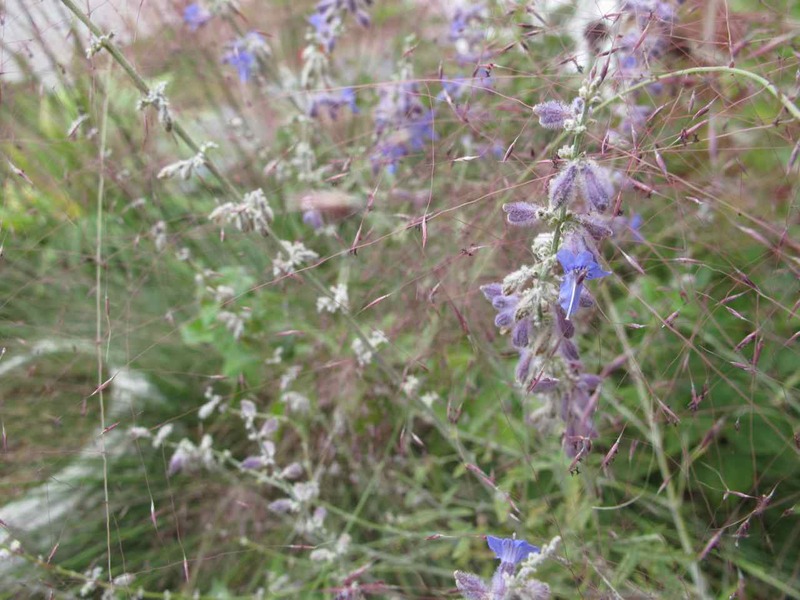 Angelonia thrived in the meditation circle even during the hottest part of the summer. An annual, it has become a bit leggy. Perhaps it needed a strong shearing to maintain its shape and keep it blooming more vigorously. 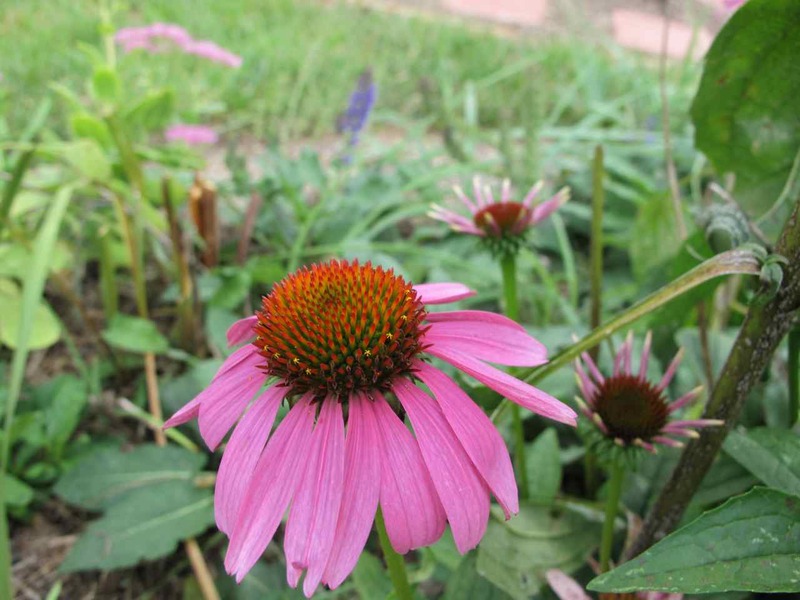 A strong favorite in this garden, Echinacea (Purple Coneflower) is an example of perennials touted as drought-resistant. Nonetheless, the extra rains have really kept these blooming much longer than normal. 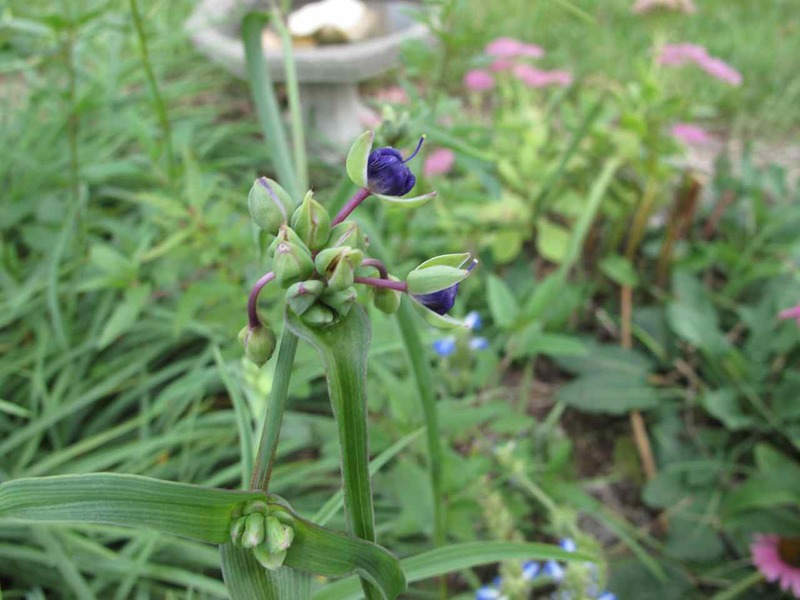 American Goldfinches and other birds love this plant. The only hydrangea that survived in this garden performed very poorly this year again. Perhaps it is time to transplant to a new location. 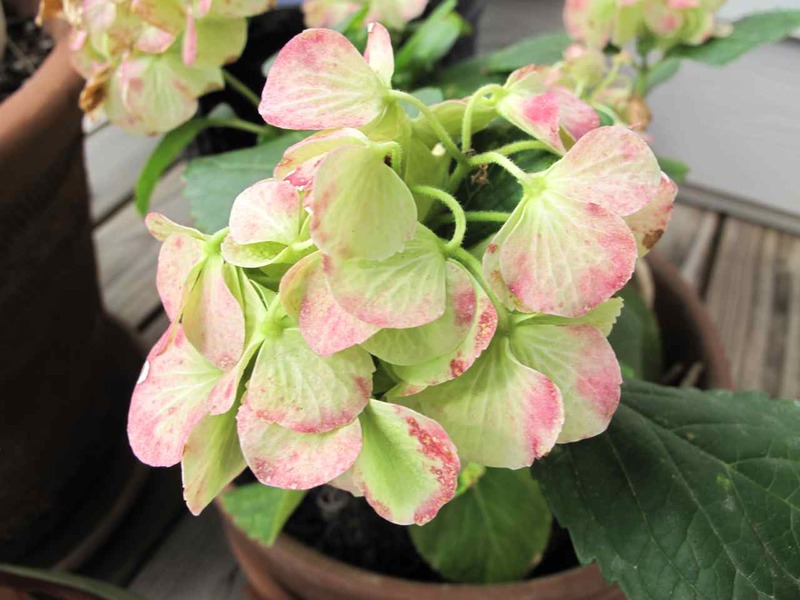 Fortunately though, on the screened porch a hydrangea has bloomed all summer, even as it sits in its original plastic pot simply tucked inside a clay pot. The flowers are gaining a beautiful burgundy hue. 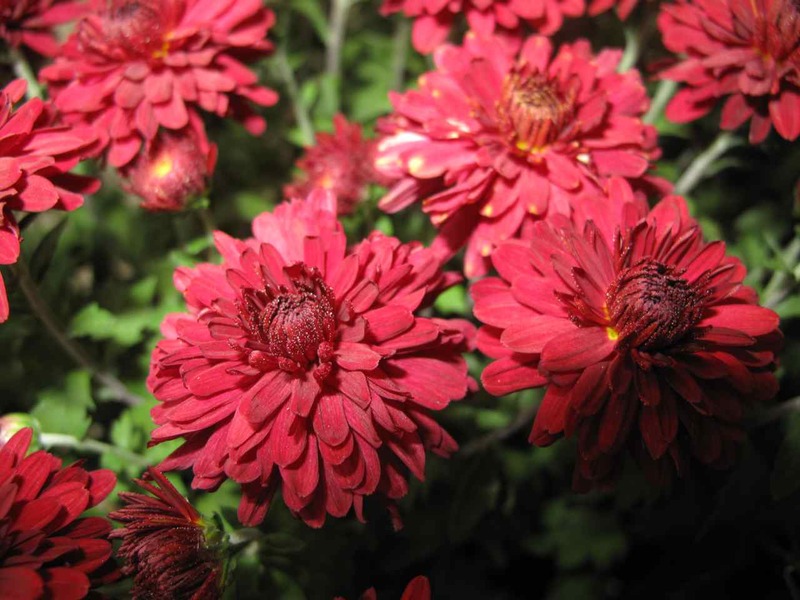 Chrysanthemums bring a beautiful deep red to the last day of September. 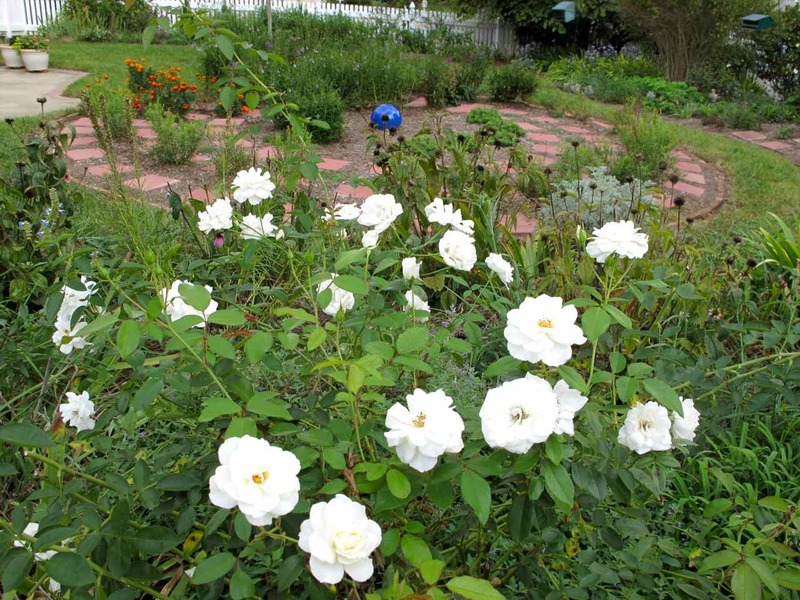 This entry was posted in garden and tagged autumn garden on September 30, 2011 by pbmgarden.